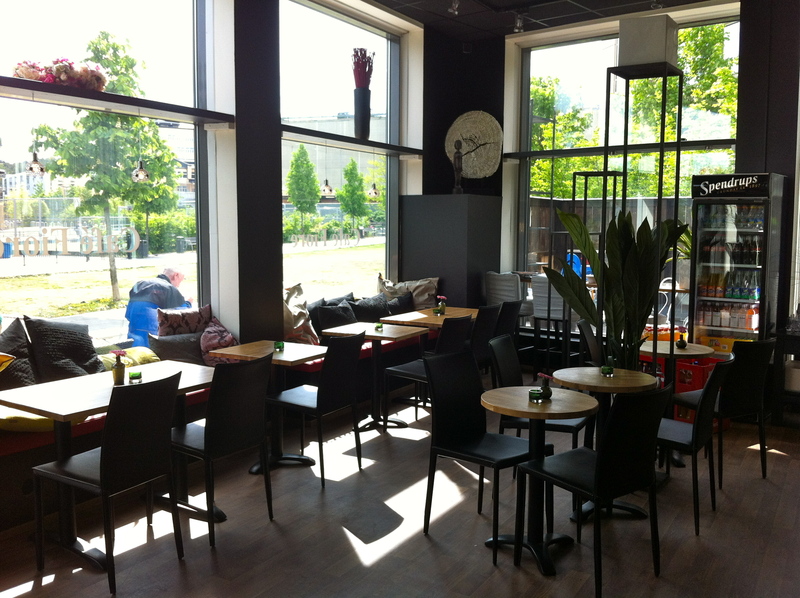 After my stop at Kärlek&Mat, I was decided to make the most of my time in Hammarby Sjöstad and decided to visit a second café. I did not have to go very far. 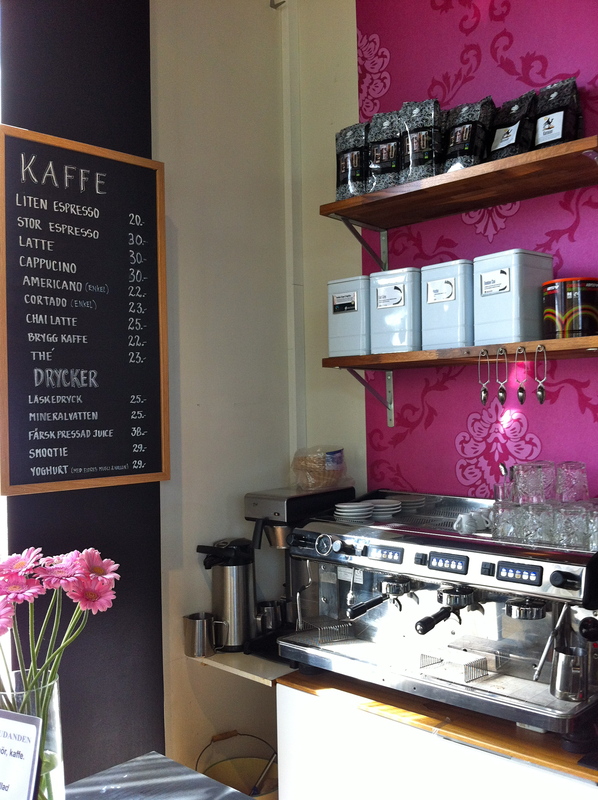 Right there, a few meters away from Kärlek&Mat was Café Fiore. When I first passed by the door, I was not too sure what to expect. The place looked more like a flower shop than a café. 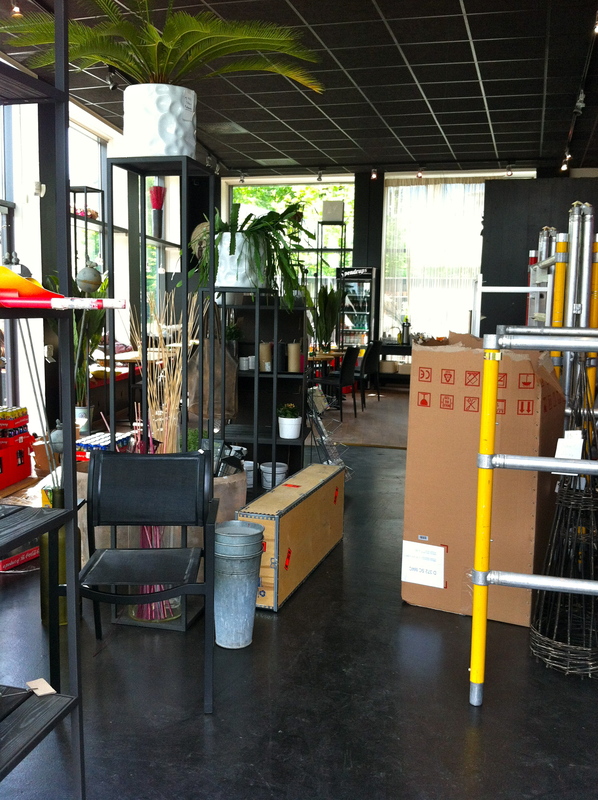 I had seen before flower shops where one could have a coffee but these places never really qualified to be a “café”. 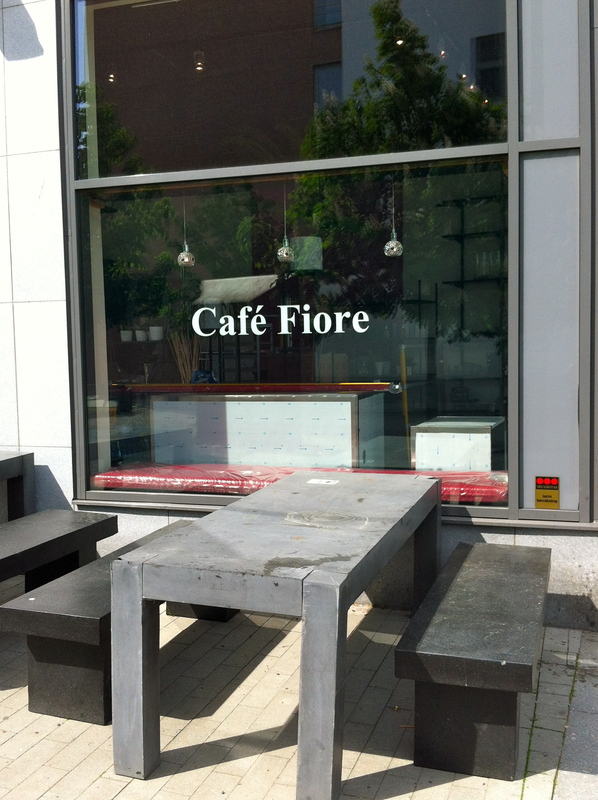 Café Fiore is quite different: it is actually a café, in addition to being something else. Summer has finally arrived in Stockholm and naturally nobody was sitting inside. 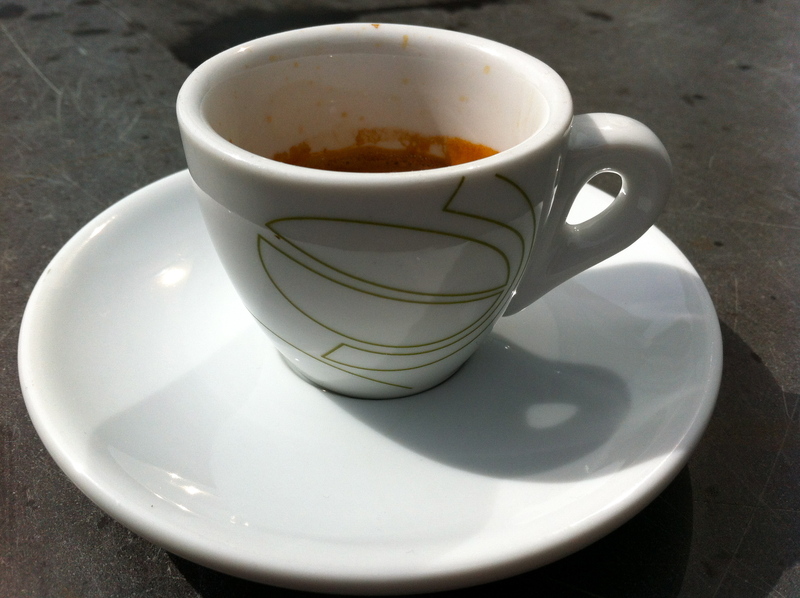 This makes sense because Café Fiore has the perfect location for a nice coffee on a lazy Saturday morning. Their patio is facing the sun in the morning and this where I had a very nice double espresso. While I was sitting in the sun, sucking up the vitamin D that I missed so much in the last few months, I was trying to remember where I had seen cups like the ones at Café Fiore. 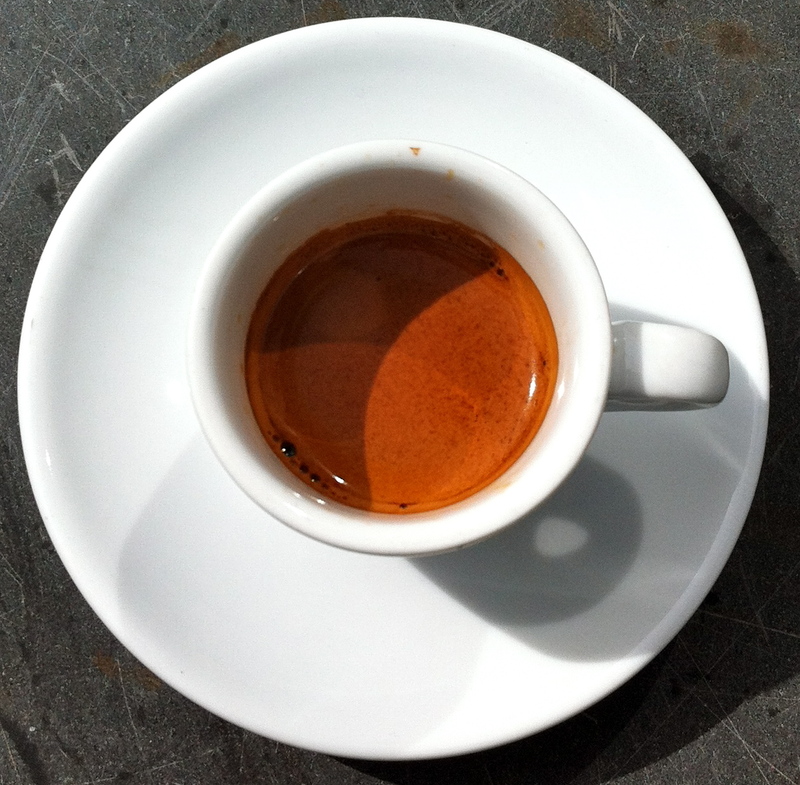 And it is only at the very end of my double espresso that it came to me: Johan & Nystrom. Café Fiore is a nice little café, perfect for a sunny Saturday morning. Its location is great and it makes for a nice stop after a walk by the water in Hammerby Sjöstad. I suspect it must be nice in the winter too, with the very warm colors inside the café. What gorgeous photos! And your espresso looks just delicious. I miss really good coffee shops. It seems like London has chains or greasy spoons but no really charming coffee shops. A café and a flower shop, such a nice idea!